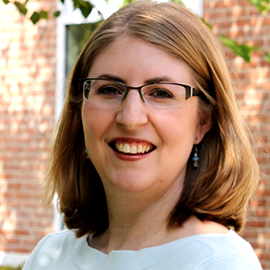 Joy McCrady, LGPC, NCC is a Bereavement Counselor at the Chesapeake Life Center who offers individual, group, and family-centered grief counseling for Hospice families and members of the community who have experienced a traumatic loss. She assists with the coordination of camps and workshops for children and teens as well as a group for young adults. In her role, she also provides outreach and education for county agencies, faith communities, professional/CEU education for community professionals, as well as presentations at local and national conferences. She co-authored a pamphlet with Sarah Montgomery, LCSW-C and Amy Stapleton, LCPC, Supporting Children After a Drug-Related Loss: A guide for parents and caregivers. Ms. McCrady is a graduate of Loyola University Maryland’s Pastoral Counseling program, where she earned her master’s degree in clinical mental health counseling.